The biggest selection. The best brands. Amazing value. Unmatched service. Macy’s has been America’s favorite department store for over 150 years, delivering fashion and affordable luxury to customers coast to coast. It is the shopping destination for today’s customer. You’ll find products to fit every lifestyle: for her, him, kids and the home, as well as gifts for all occasions! Macy’s gift cards are redeemable at over 500 stores nationwide and our biggest selection is always at your fingertips at macys.com. Celebrate, surprise someone special or splurge on something just for you! Macy’s is not a sponsor or co-sponsor of this promotion. Terms and conditions apply see back of card for details. 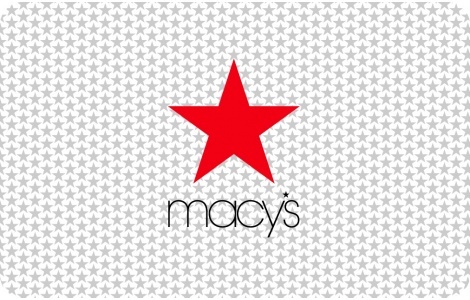 The Macy’s name and logo are registered trademarks of Macy’s Inc.